A sea of umbrellas made its way across campus as students rushed to escape the gloomy day the Athens weather granted them. The rain fell in sheets. The wind cracked against the windows of Lindley Hall’s castle-like expanse on a dreary Feb. 14 afternoon. The noise from the sidewalks became quiet as students and professors retreated into coffee shops and classrooms. Inside a cramped lecture hall on the third floor of Lindley, damp umbrellas at their sides, about 20 Ohio University faculty members gathered to discuss their concerns about the university’s financial past, present and future. The university budgeted for $53.2 million in operating results for fiscal year 2018 — a decline of nearly 50 percent from the prior year. Ask the OU administration what defines a budget crisis, and they’ll say it’s not really a crisis at all. Ask the faculty members sitting in Lindley, and the mood is somber. Loren Lybarger, president of the OU chapter of the American Association of University Professors, stood in the front of the room and listed off the items of chief concern. 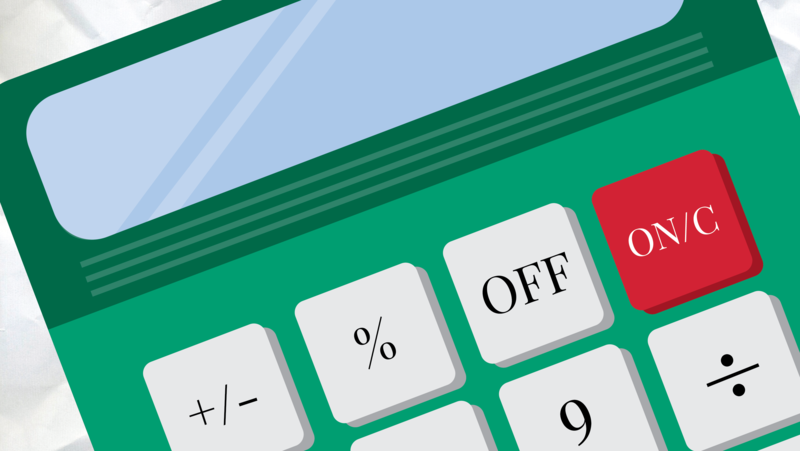 Repercussions from the tightening budget are seen as urgent matters from faculty. The effects are being seen much sooner. Cutler Hall, the crown jewel of OU’s campus, is perched just next door to Wilson, which houses the College of Arts and Sciences — a college hit especially hard by budget constraints. Despite the proximity of the two buildings, Lybarger said, OU President Duane Nellis is painting a “very different picture” from his Cutler office. Inside Cutler, the mood is starkly different. The urgency that exists among faculty members is diluted. The vice presidents speak of optimism and plans for growth academic programming. Vice President for Finance and Administration Deborah Shaffer stressed that, on many metrics, the university is stronger than ever. 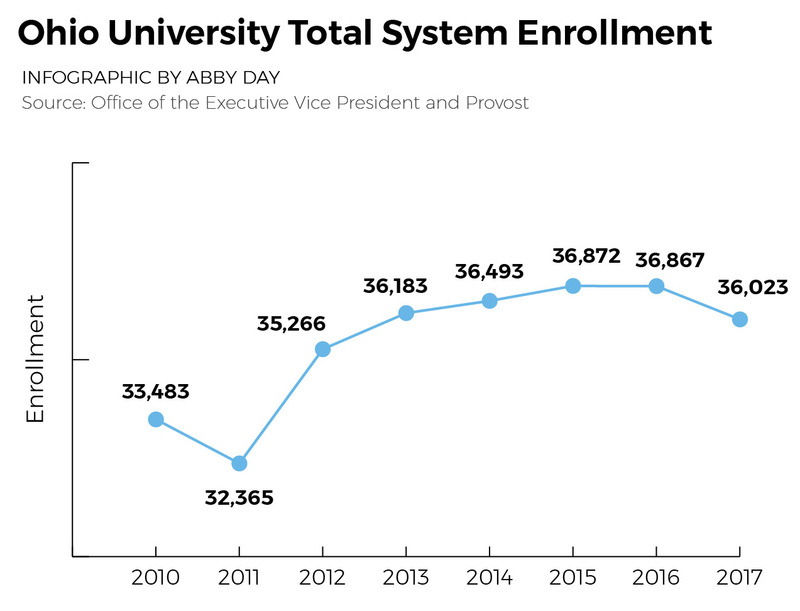 Though demographics have been changing, she said, enrollment is at an “all-time strength level.” Market shares have been increasing. Despite “failing” facilities, the university is investing in capital projects. But whether it’s termed a crisis or a correction period, fear of cuts to faculty and academic programming have tensions running high on campus and have prompted a host of questions. The rift between the administration and faculty members is one for how the “crisis” should be handled. A university budget is a living, breathing document. It’s thousands of pages of spreadsheets and numbers that change constantly, pored over by top administrators, scrutinized by board members and ultimately, impacting every facet of what happens on campus. There’s no simple way to break down the many factors that play into its flux and flow. Interim Executive Vice President and Provost Elizabeth Sayrs knows people want answers to the uncertain future quickly. But the “better answer,” she said, takes time and conversation. Public universities in Ohio are receiving less funding — or “state share of instruction” — from the state. Throughout the past 15 years, the level of state support for public universities decreased from 35 percent of OU’s total budget to 20 percent. On top of that, Ohio Gov. John Kasich’s 2017 state budget included a freeze on tuition increases for public universities. The university, however, is still able to increase tuition for the class of 2021, because the freeze would not impact students on guaranteed tuition. In January, the OU Board of Trustees voted to increase tuition for the next cohort of students by 1.3 percent, or about $155 per year. The board also approved a 3.5 percent increase in residential housing rates on the Athens campus, as well as a 2 percent increase in rates of campus culinary services, according to a previous Post report. As the state draws back on financing higher education, schools like OU face widening gaps in revenue and expenses. Factor in elements such as inflating health care costs and deferred maintenance — the backlog of major maintenance projects — and problems arise. “You can see how costs are going to increase when revenue isn’t increasing,” McLaughlin said. Another problem stems from what Shaffer calls “changing demographics” in enrollment. The most recent freshman class enrollment of 4,045 students was 264 fewer than the previous Fall Semester enrollment numbers. Meanwhile, the university saw 87 fewer transfer students than it was originally budgeted for. If there’s one observation that seems to ring true to both faculty and administrators alike, it’s that a lack of communication has soured the budget planning process and led to widespread confusion — or “gloom and doom,” as Lybarger put it. Meanwhile, McLaughlin said a significant part of the confusion stems from miscommunication both among the administration and between the administrators and faculty. That sentiment is one that echoes in Cutler Hall. In December, Nellis, not yet a year into the presidency, said budget issues have been “one of the big challenges” he has faced in office. He wants the university to be able to give raises to faculty, staff and graduate assistants whose pay has been stagnant. The likelihood of the layoffs that Lybarger spoke of remains largely uncertain, according to the administration. In April 2017, the Finance and Administration department eliminated 12 positions, leaving five university staff members without jobs. The layoffs were coupled with $4.9 million in cost reductions submitted by administrative offices, in addition to $4 million in anticipated reductions in the next two fiscal years, according to a previous Post report. The budget gaps that need to be rectified could ultimately lead to changes in personnel, Nellis said, although it’s “still too early” to determine the scope of potential layoffs. In an effort to prepare for potential budget cuts, Sayrs said academic colleges were asked to consider how a 7 percent blanket reduction to their budgets for the next fiscal year would impact their operations. All academic support and administrative units are already reducing their budgets by 7 percent in the next three years. Frank said the size of the reductions is “up in the air right now” — colleges, however, have already begun looking closely at cuts. With the shuffling of positions and ongoing searches within the higher level of university administration, some faculty members question the likelihood of change. McLaughlin, however, has faith in OU leadership. Shaffer thinks some of the “angst” coming from faculty goes back to a desire for facts. But the information is largely inconclusive, for now. Lybarger fears that if faculty shrinks, the shrinking of academic programs will follow, and the university’s standing will be negatively impacted. And that doom and gloom — the uncertainty surrounding layoffs, raises and enrollment — has faculty members wondering what the future truly holds.